Everyone who leaves a comment today will have a chance to win a signed copy of The Other Side of Blue. Check back tomorrow to find out if you won. 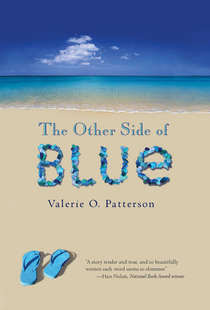 Valerie O. Patterson, author of the Young Adult mystery The Other Side of Blue, was raised in the Florida panhandle where the Gulf of Mexico inspired a love of blue and a fascination with the horizon and what lies beyond. 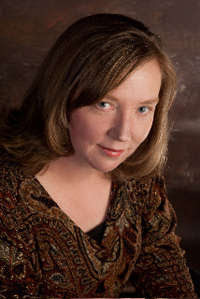 Valerie graduated in May 2008 with an MFA in Children’s Literature from Hollins University, where she twice received the Shirley Henn Award for Creative Scholarship. She has also received a Work-in-Progress grant from the Society of Children’s Bookwriters and Illustrators (SCBWI). 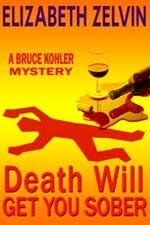 Her first work of mystery fiction featuring a teenage protagonist was the short story “Death in Woad Blue” in the Chesapeake Crimes II anthology. 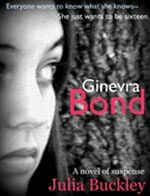 In addition to SCBWI, she is a member of Mystery Writers of America, Sisters in Crime, the Women’s National Book Association, and the Authors Guild. She lives in the Washington, DC area with her husband. Visit her website at www.valerieopatterson.com. Q. Tell us about The Other Side of Blue and Cyan, its young lead character. A. Cyan and her artist mother return to the island of Curacao, where her father drowned mysteriously the year before. 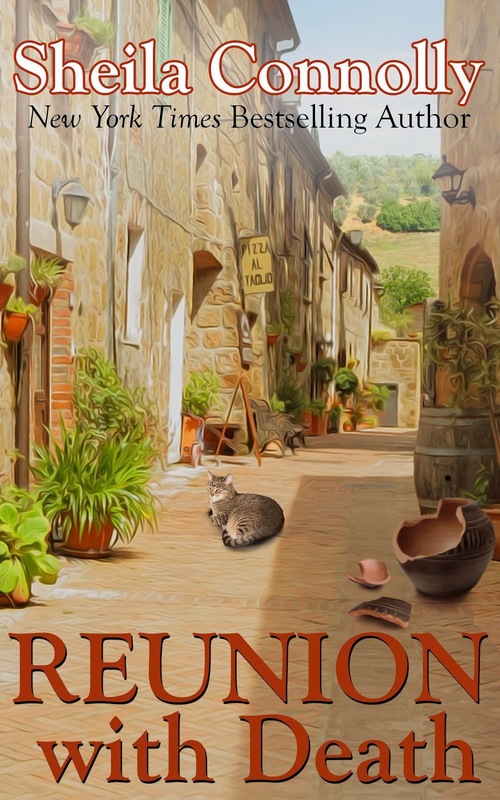 The unresolved death continues to haunt Cyan, and the distance between her and her mother grows greater as Cyan tries to discover what really happened. To complicate matters, a younger girl, Kammi, who is to become Cyan's stepsister when her mother remarries, arrives on the island, too. 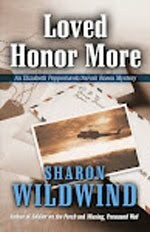 The novel explores grief, forgiveness and hope. Q. What made you decide to write a young adult mystery? A. I don't think of writing for teens as something I "decided" to do. I've written at least half a mystery aimed at the adult market, but I seem to be drawn to children and teen's voices. Perhaps that period of time in my life provided so much material for exploration; it's those emotions I tend to go back to when I write. Q. What makes a book a young adult novel? Do you have to follow certain guidelines to write YA? Would adults enjoy reading your novel too? A. Traditionally, teen fiction covers ages 12 and up. As a general rule, the main difference between teen fiction and adult fiction is that most teen fiction still has some hope at the ending, regardless of how grim the story line is throughout. Even that distinction may be changing as I think the line between adult and teen books continues to blur. I know a number of adults who devour teen fiction. Adults who think teen fiction is somehow "lesser" fiction are missing out. Some of the best books I've ever read are designated "children's fiction." I have had adults tell me they enjoyed my book--for some it's the first contemporary YA novel they've read. Q. What inspired the story? Why was it necessary for the protagonist to be a teenager? A. Stories come from many places and for me seem to sift together until a vision of a character or a place emerges. The teen years seem particularly a time of questioning, of strong emotion, of unraveling things we've taken for granted before. The mother-daughter relationship is the pivotal point in this novel, and I think for many teens and mothers, that relationship is a source of tension, but also of ultimate understanding. This particular story wouldn't have worked if Cyan had been an adult. Q. Why – aside from the pleasure of the research! 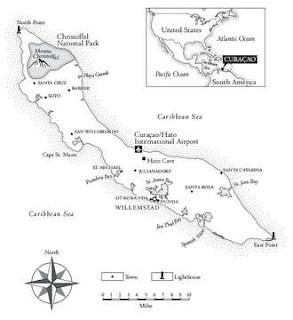 – did you set the book in Curacao? A. I set the book there because the place intrigued me. The country is strikingly beautiful and is a blend of diverse cultures and languages. For an artist it seemed an ideal location to capture color and movement. I also liked the idea of setting the American characters in an "other" place, a place they have come to know but only in a way that an outsider begins to know a place. Finally, I grew up near the Gulf of Mexico and the sea has always drawn me to it. Q. Would you tell us about your path to publication? Do you think it’s easier or harder to sell a YA book than an adult book? Has the experience of publication surprised you in any way? A. My path to publication can be attributed to a wonderful literary agent, Sarah Davies of Greenhouse Literary, and my editor at Clarion/HMH, Jennifer Wingertzahn. Each heard something in Cyan's voice that drew them in. Both asked questions and suggested changes to make the writing and the storyline stronger. I also have great critique group members; they were my first readers. I don't think publishing a book for any age group is easy, and I certainly think the YA market is as tough as the adult market. The emotions of being published surprised me more than I anticipated--the feelings of joy and terror both held simultaneously. Q. How do you market a YA mystery and reach teen readers, especially at a time when teens seem to be reading less than ever? Do you think your book will be bought mostly by teens themselves or by adults who purchase it as a gift for the young people in their lives? A. Those are tough questions. Teens read but, like adults, their interests vary, and many other media clamor for their attention, from computers to MP3 players to cable television. 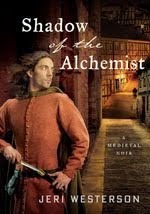 My book is a quieter read--I think it appeals more to teens interested in language and relationships and willing to read something without heart-stopping action. The cover is very attractive, so that may lead teens to pick it up off the shelf and read the flap copy. Marketing to teens means reaching them through blogs and teen-friendly websites. Word-of-mouth is extremely important, too. Marketing is tough, though, regardless of genre and age-group. Q. When you were writing The Other Side of Blue, did you have teenage critiquers to give you feedback or teen advisors to help you nail down the cultural details? A. No, I didn't. I have very good critique partners who write for children and teens. My nieces, to whom the book is dedicated, didn't get to read it until after publication. Q. 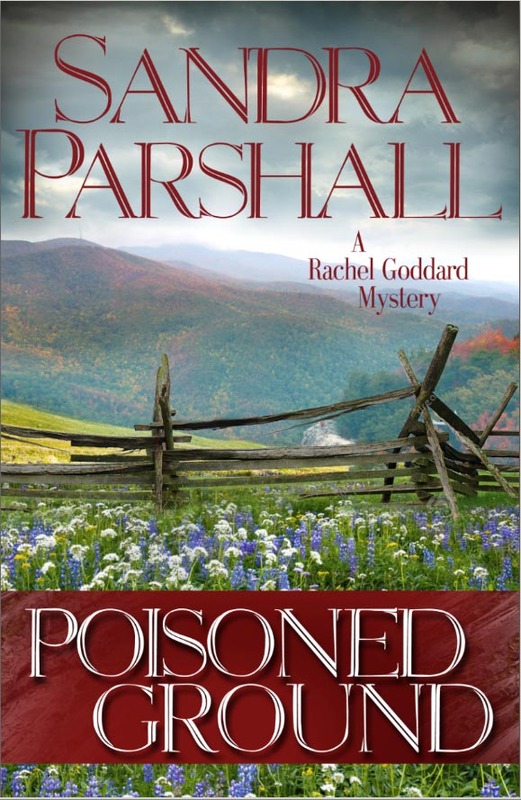 Do you have aspirations to write adult mysteries, or will you stay with YA? A. I have about half of a mystery for adult audiences in a drawer. At this point, though, I really like writing for teens and younger audiences. I hope to continue improving as a writer. Maybe the right story will come along for me that can only be written for adults. Q. Has the MFA program benefitted you as a writer? Do you plan to teach, or will you write full-time? A. Yes, the MFA gave me the opportunity to study literature as well as writing. I think the rigor of the program has made me a better writer. I do hope to teach writing on a part-time basis in the future, but my main focus now is to continue striving to be a better writer. A. I'm working on another book for young readers. Set in Florida, this new book for middle grade readers is about friendship. It isn't a mystery at all (although all books are in part mysteries). Q. What advice do you have for writers who want to write mysteries or mainstream novels for the young adult market? A. Read extensively in the genre you want to write for...then tap into the feelings you had at the age you're writing about. Technology changes but basic emotions do not. Valerie will discuss and sign The Other Side of Blue at Barnes & Noble in Reston, VA, at 1 p.m. January 17. Best of luck with the novel. Thanks for sharing your insights, which provide some good food for thought. I have always read a bit of YA fiction, but the last year has seen sucha wealth of new books published, it has been easy to pick up a teen book and enjoy it. Thanks for sharing with us. The book sounds intriguing. I agree that there are some stories that are better told through a young voice. Good luck to you! I've started reading YA fiction as well as my crime fiction and it's good to read of a new crime-YA book. Your point about the good writing to be found in YA books made me think: the three novels I think have earned the title of Great American Novel--Huckleberry Finn, Little Women, and To Kill A Mockingbird--all have teen protagonists. Val, regarding the adult book you've written part of and put in a drawer, is it the "eyes" book I saw part of in a class at the Writers Center a few years ago? If so, you've left me intrigued all this time. Please finish it! Val's book is beautifully written. It would make a wonderful gift for a teenage girl -- but it will also appeal to many adults. I have a friend named Cyan - love the name. With a niece writing YA novels and two pre-teen grandkids beginning to read them, I'm discovering the appeal of these books. I've been reading a lot of YA recently, and it seems like good YA mysteries are few and far between. Good luck with your book -- I'll be looking for it next time I hit my local store. I love how your cover, your title, and the name Cyan all pull together, Valerie. I agree that there's a lot of good YA fiction being written today! Thanks for the interview, Sandy. Congratulations! I am beginning to think "blue" is your color. I wish you great success with the book and I look forward to reading it. YA and children's books are some of the best books, period. I worked in children's for several years and was amazed at the number of adults who wouldn't knowingly look at a children's book but if he or she read one by accident, would be amazed. One thing I point out to some people is that this sort of literature tends to get to the point of the story, while some adult authors pad their books unmercifully. I do enjoy seeing adults be astonished at how wonderfully written the best of YA and children's books are. Congratulations on your good reviews! I like the fact that you used an unusual setting for The Other Side of Blue. I relate strongly to the author's comments. She is very perceptive and articulate. I am also drawn very much to the sea. My new release, Angela 1: Starting Over (the first in a series of three), is set in coastal Texas. I also need a strong locale for my stories. It is a teen novel because the characters are teens and they are teens because that is how the story came to me. In my case also, the story wouldn't work if Angela were not a teenager. Although all teens go through angst, self-doubt, and mood swings, for some it is a devastating time and for others it is a wonderful time of discovery. As for the ending... well, I don't want to spoil it and there are two more coming. If it appeals to you and you want to know more about the book, please click on my name and follow the link to my website. Thanks!